Only $18 and it is in perfect condition! 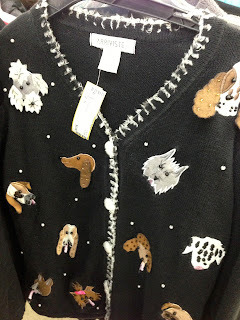 Now I have to know...What's your best thrift shop find? I'm your newest follower. Hope you will stop by sometime soon. That sweat is an absolute riot!!! :) I love thrift shops - always have great luck finding white elephant gifts.